Argonautica; or, The Quest of Jason for the Golden Fleece, the Epic Poem First Set Down in the Ancient Greek Tongue by Apollonius of Rhodes in the Third Century B. C. Together with the Translation into English prose by Edward P. Coleridge. With a Preface by Moses Hadas and Illustrations by A. Tassos. 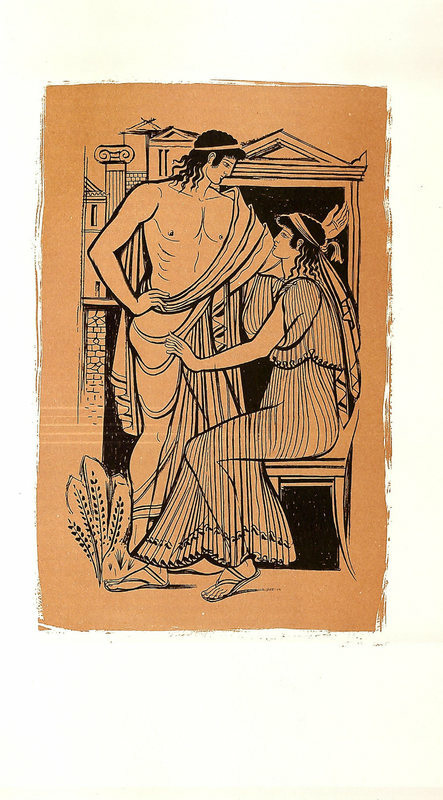 Athens: Printed for the Members of the Limited Editions Club by Aspioti-Elka Graphic Arts Company, 1957. 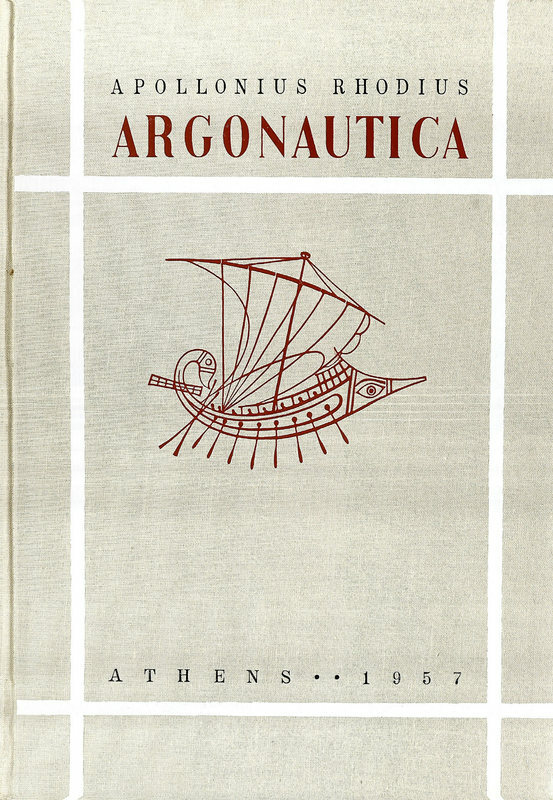 The publishers returned to the geographic origins of Jason and the Argonauts by having this new edition printed in Athens. Medea and Jason at their first meeting.